[r] Ellie Kemper first achieved breakout success as Erin Hannon on the NBC sitcom The Office. Her turn as the happy-go-lucky office receptionist was popular with fans and critics alike and showcased her gifts as a comedic actress. Those talents have since been leveraged on the big screen in box office hit films like Bridesmaids and 21 Jump Street. Now she plays the title character in the Netflix Original series, Unbreakable Kimmy Schmidt, a role for which she recently earned her second straight Emmy nomination for Best Comedy Actress. Despite the show’s dark premise -- Kimmy Schmidt was held captive by a cult leader for years in an underground bunker -- the show plays it all for laughs as she tries to rebuild her life in New York City. Her years of isolation have left her ignorant of many cultural touchstones, but she pushes through with an enthusiasm and tenacity that is both endearing and hilarious. Ellie joined Jesse in 2016 to talk about her early experiences of living and working in New York, mining material from her time at Princeton and her self-consciousness about privilege. Catch all the episodes of Unbreakable Kimmy Schmidt on Netflix. The show was recently renewed for a fourth season. Listen to Jesse's 2016 interview with Ellie Kemper. Flying Lotus is a critically acclaimed music producer whose sound lies somewhere between progressive hip-hop and dance music. In 2010, Jesse spoke to him about his unique style and his remarkable musical lineage -- his aunt was the great jazz pianist Alice Coltrane. FlyLo also tells Jesse about how his mother convinced him to submit music to Cartoon Network's [adult swim], and the influence of the late hip-hop producer J Dilla on his music. You can find out what Flying Lotus is up to next at Flying-Lotus.com. You can also watch his 2016 film Kuso on iTunes, or wherever else you rent your films. Listen to Jesse's 2010 interview with Flying Lotus. 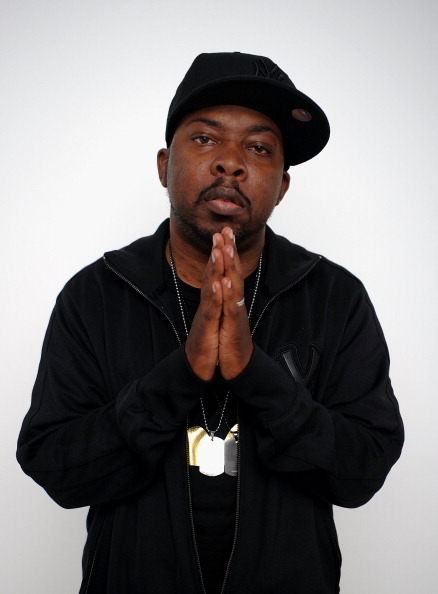 Jesse fondly remembers Phife Dawg of A Tribe Called Quest as a "big brother" figure in hip-hop. Listen to Jesse's Outshot on the late rapper Phife Dawg.